DENVER (AP) — The federal government is ready to let farmers grow cannabis — at least the kind that can't get people high. Hemp — marijuana's non-intoxicating cousin that's used to make everything from clothing to cooking oil — could soon be cultivated in 10 states under a federal farm bill agreement reached late Monday that allows the establishment of pilot growing programs. The plant's return to legitimacy could clear the way for U.S. farmers to compete in an industry currently dominated by China. Even though it hasn't been grown in the U.S., the country is one of the fastest-growing hemp markets. In 2011, the U.S. imported $11.5 million worth of legal hemp products, up from $1.4 million in 2000. Most of that growth was seen in hemp seed and hemp oil, which finds its way into granola bars and other products. "This is big," said Eric Steenstra, president of Vote Hemp, a Washington-based group that advocates for the plant's legal cultivation. "We've been pushing for this a long time." Legalized growing of hemp had congressional allies from both ends of the political spectrum. Democrats from marijuana-friendly states have pushed to legalize hemp cultivation, as have Republicans from states where the fibrous plant could be a profitable new crop. "We are laying the groundwork for a new commodity market for Kentucky farmers," Sen. Mitch McConnell, R-Kentucky, said in a statement. McConnell was a lead negotiator on the inclusion of hemp in the farm bill. The full House and Senate still must agree on the bill that will head to the House floor Wednesday. State departments of agriculture then must designate hemp-cultivation pilot projects for research purposes. Hemp and marijuana are the same species, Cannabis sativa. Marijuana, however, is cultivated to dramatically increase THC, a psychoactive chemical that exists in trace amounts in hemp. Hemp has historically been used for rope but has hundreds of other uses: clothing and mulch from the fiber, foods such as hemp milk and cooking oil from the seeds, and creams, soap and lotions. George Washington and Thomas Jefferson grew hemp, but centuries later the plant was swept up in anti-drug efforts and growing it without a federal permit was banned in the 1970 Controlled Substances Act. The last Drug Enforcement Administration hemp permit was issued in 1999 for a quarter-acre experimental plot in Hawaii. That permit expired in 2003. The U.S. Department of Agriculture last recorded an industrial hemp crop in the late 1950s, down from a 1943 peak of more than 150 million pounds on 146,200 harvested acres. It's not clear whether legalized hemp cultivation suggests the federal government is ready to follow the 20 states that have already legalized medical marijuana, including two that also allow its recreational use. "This is part of an overall look at cannabis policy, no doubt," Steenstra said. However, opponents of legalized pot insist the hemp change doesn't mean marijuana is right behind. Kevin Sabet, director of Smart Approaches to Marijuana, a national alliance that opposes pot legalization, downplayed the change to the farm bill. "On the one hand, I think it's part of a larger agenda to normalize marijuana, by a few," Sabet said. "On the other hand, will it have any difference at the end of the day? I would be highly skeptical of that." Analysts have predicted legal hemp would remain a boutique crop, and the Congressional Research Service recently cited wildly differing projections about its economic potential. Still, farmers interested in hemp say the farm bill agreement is a giant leap toward a viable hemp industry in this country. 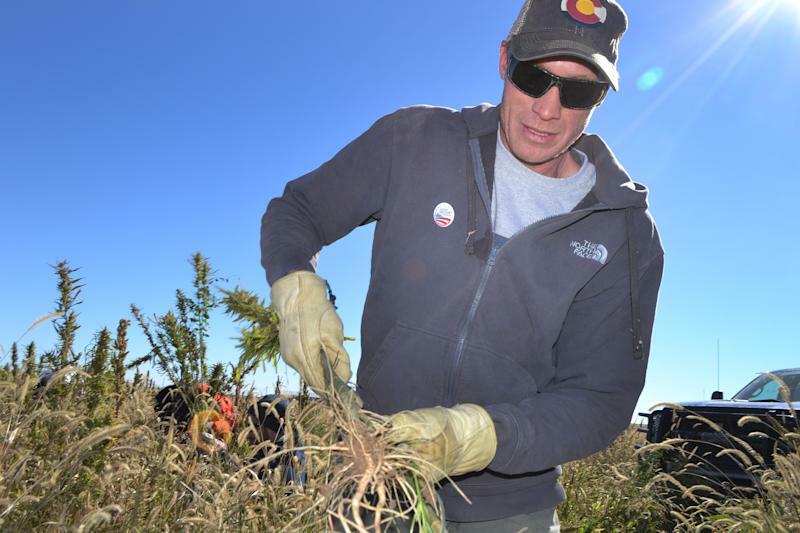 Tom McClain, a Colorado hemp activist who helps connect nascent growers with buyers, said the industry won't get off the ground without more research. "We don't have a compendium of information to go to," McClain said. "We do rely on universities and agricultural research to help us and direct us. We need local research to help drive the correct varieties, so that farmers get the best yield." Ten states already allow the growing of hemp, though federal drug law has blocked actual cultivation in most. Those states are Colorado, Washington, California, Kentucky, Maine, Montana, North Dakota, Oregon, Vermont and West Virginia. 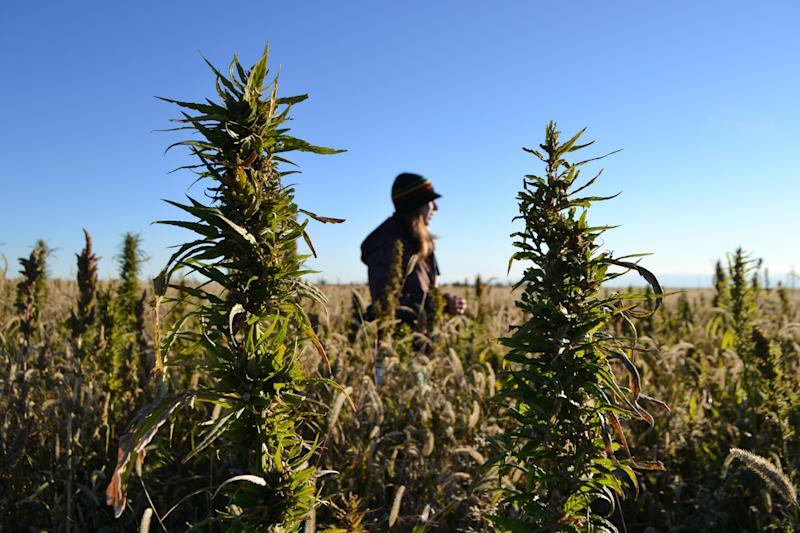 Earlier this month, the Colorado Department of Agriculture released licensing procedures for farmers interested in raising hemp. 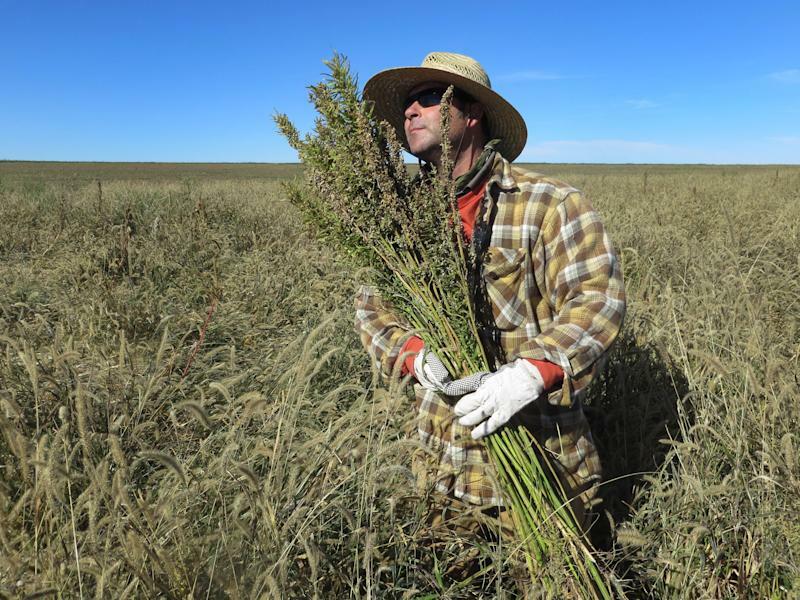 About a dozen farmers didn't wait for the state rules and harvested small amounts last year — the nation's first acknowledged hemp crop in more than five decades. No statewide harvest totals were available.